The city has cut the amount of trash it produces by more than half since it started the program in 2014, says WasteZero, the company that helps run the program. WATERVILLE — The first year of the city’s pay-as-you-throw trash and recycling program has saved approximately $164,000 and cut the amount of trash the city has to ship out of the city by more than half, according to an analysis of the program released Friday by the company that designed the program. And curbside recycling, which began in June 2014, has generated 629 tons, City Manager Mike Roy said Friday. The pay-as-you-throw program, which charges money for garbage bags, was designed to reduce how much people throw away and to increase how much is recycled or composted. Roy said in an interview Friday that it’s working. “I think people are just more careful about what they throw away,” Roy said. Overall, people are becoming more conscious about how much trash they are generating now that they have to pay for it, Roy said. The city has generated more than $300,000 from selling the garbage bags through July, and Roy said when the August numbers are in, the city should easily hit its revenue projection of $311,000. Roy said that the drop in the amount of trash Waterville is generating is caused by three factors: More material is being recycled, people are becoming more careful about how much they throw away and some residents have turned to private garbage haulers to take care of their trash. In a news release Friday morning, WasteZero, the company working with Waterville, said the savings in waste disposal fees and reduction in waste has exceeded expectations. The city initially expected to save $137,000 and reduce waste by 44 percent, according to the company. The city’s program began Sept. 8, 2014. In June, following a trial period, voters overwhelmingly chose to keep the program, although some residents still oppose it. The amount of solid waste Waterville collected dropped from 4,175 tons in 2013-14 to 1,932 tons this past year, WasteZero and the city said. That translates into savings in transporting and tipping fees at the Penobscot Energy Recovery Company plant in Orrington. Roy said the city pays roughly $84 per ton to dispose of its waste at the plant. The waste disposal savings is part of more than $430,000 in savings the city expects to realize in the first year after factoring in sales of the garbage bags residents have to buy to get curbside pickup. Small 15-gallon bags are sold eight to a roll and 30-gallon bags come five to a roll. Both sizes cost $10 a roll. 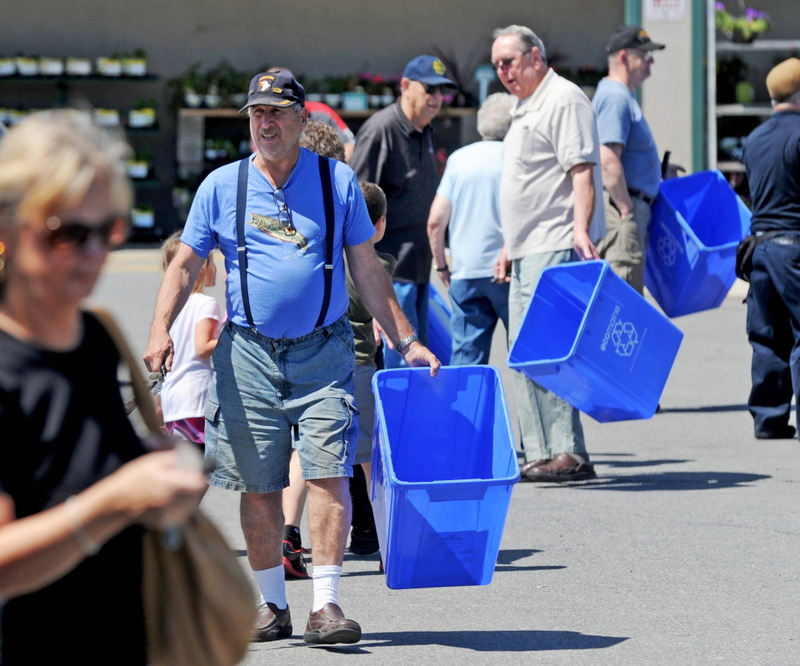 Waterville, with a population of about 16,000, collects trash from about 7,500 families. Some, however, have opted out of the pay-as-you-throw program by contracting with private haulers, such as Gregory’s Disposal in Fairfield. General Manager Kyle Rabe said Friday that since the city implemented its program, Gregory’s has picked up “a couple hundred” customers in Waterville. Most of that growth — about 100 customers — came right after the city switched over to pay-as-you-throw, Rabe said, and others trickled over in the course of the year. The company still gets customers, but many of the people who would contract with Gregory’s might have already signed up, he said. “But you never really know. It’s hard to say,” Rabe said. 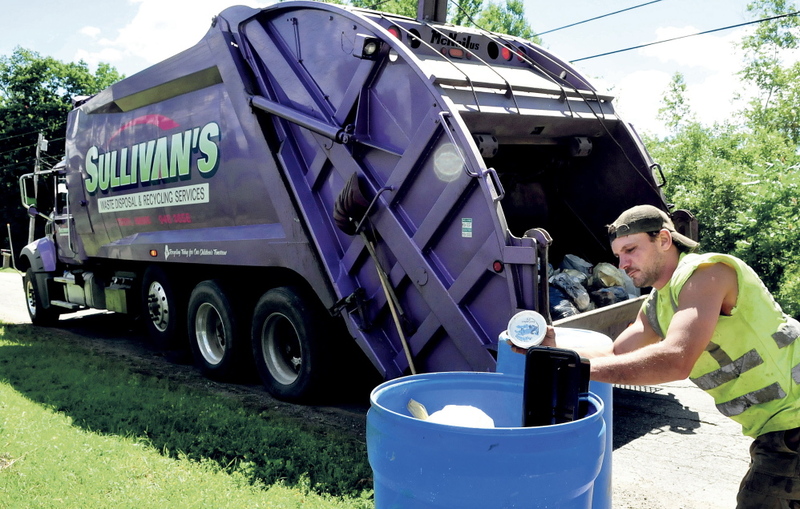 Gregory’s is one of a handful of companies that operate in the city, which includes Central Maine Disposal, also from Fairfield, and a few smaller operations, Rabe said. Some customers have told him they don’t like the bags they have to buy to use city pickup, and other customers produce enough garbage that it makes financial sense to pay for private hauling. The company charges a monthly fee on a sliding scale based on the size of the household or business, he said. “For some people, it was more cost effective,” Rabe said. Roy said the city probably won’t see a year-on-year reduction in cost and waste, and they are expected to stay at this level going forward.